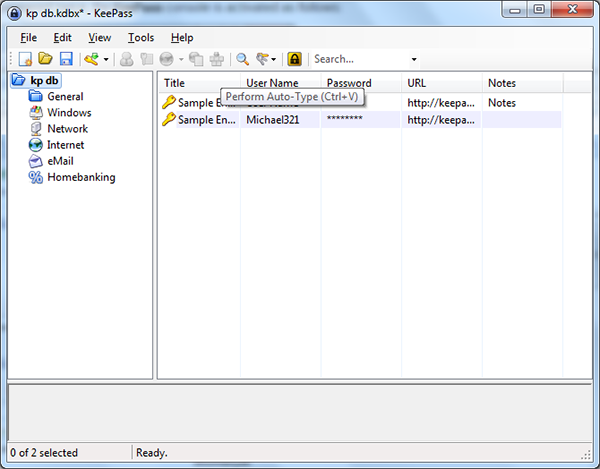 With KeePass you can store your password in a secure, portable, password protected database. Its advantage is that your passwords will only be available locally on your computer or data storage, which reduces the risk of unwarranted access. The disadvantage of this method is that the software cannot automatically fill your login details on the websites. Instead, you have to copy and paste the data yourself. It is an open source program, but a password copied with a clipboard imply huge security gap, since the content of the clipboard can be accessed by every program (even websites applying adobe flash). 1. 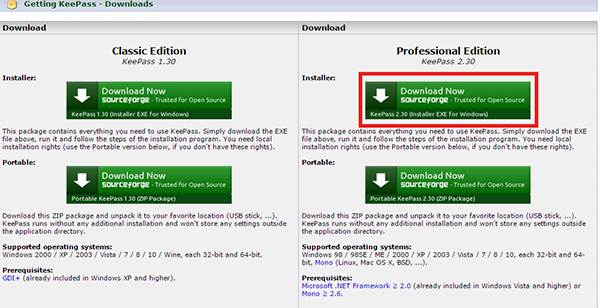 Download the Professional Edition from http://www.keepass.info/download.html. 2. Open the file and follow the installation instructions by clicking “Next” and finally “Install”. 4. Provide a name for the file which will store the database and save it. 5. Next you need to set a password, a so called master password, which will grant you access to the passwords saved in the database. 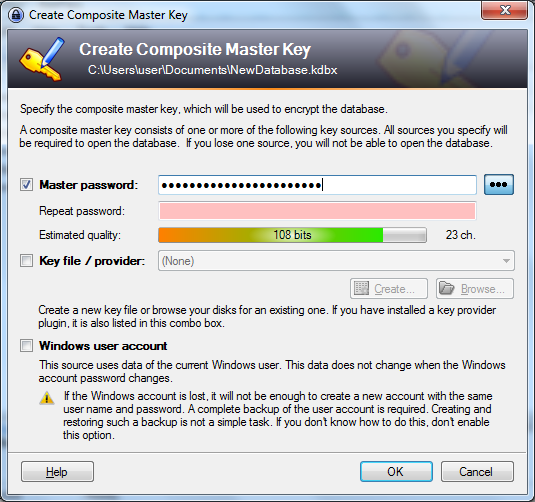 Setting a master password will at the same time encrypt the contents of the database. You need to provide the passwords twice, use the … icon to check what you typed. The green-orange strip indicates the strength of the password. 6. In the next window you are prompted to set a name for the database. 7. By clicking OK the new database appears, which at firstcontains nothing more than two sample entries. 8. The titles General, Windows etc. indicate groups which you can use to structure your passwords. We show you a bit later how to add new ones. To add a new password, go to Edit – Add entry. 9. Use the “Title” field to indicate the name of the application the password belongs to (such as Gmail). Give your username and password. 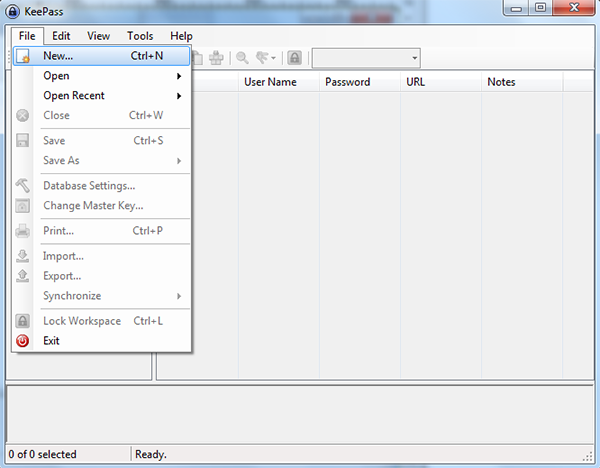 If you would like to change the existing password to a stronger one, keep the password KeePass generated automatically. You can check it using the … (insert icon) icon. Don’t forget to replace your existing password with the new one for the service in question. 10. Save it with OK. You can drag and drop the entries to the groups you wish to store them in. You can add a new group with Edit – Add group, and edit the existing ones with Edit group. You can modify the password entries by double-clicking on them. 11. 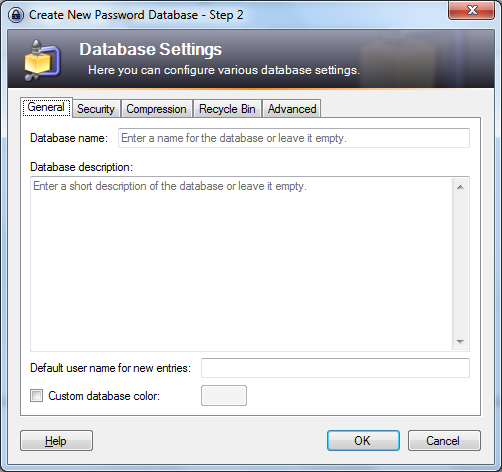 The database file is saved as a .kdbx file on your computer. You can make a copy of it and store it on a USB drive or an external hard drive. Use File – Save as to save a copy.It is a good idea to keep a copy in a secure location in case the original database file gets lost. 12. 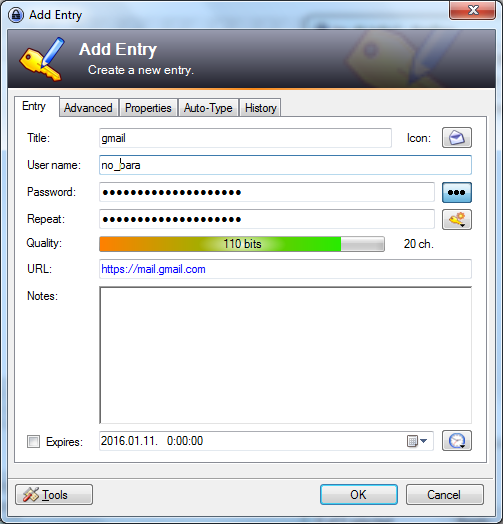 When signing in to a webpage, select the entry in KeePass, and use right click – Copy Password (or Ctrl – C) to copy the password and paste it in the login form of the page.